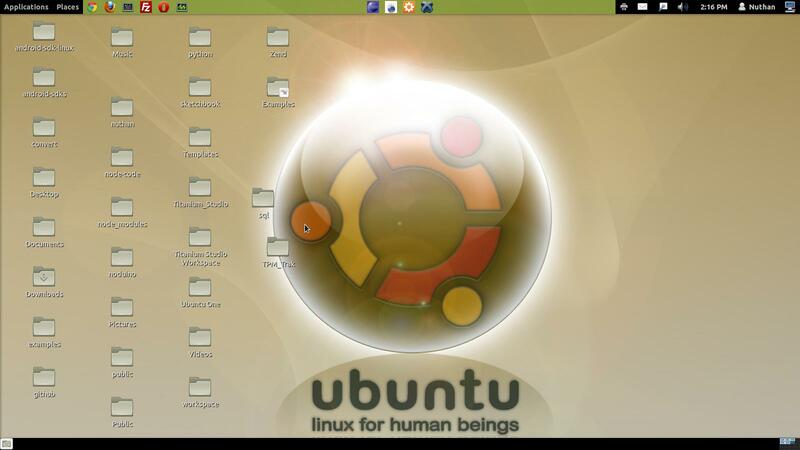 Recently, I installed Ubuntu 12.04. For some reason, i backed-up my home directory contents to another directory(say bkp dir). Precisely, I moved Documents, Pictures, Downloads, etc.. to bkp directory. Now, Deleted all my original home directory contents. I restored all the bkp directory content back to home. I find them all on my Desktop. I believe some kinda chain is broken. I don't find respective home directories icons on them. How do i restore it? Also, I don't find them in my places options. Not the answer you're looking for? Browse other questions tagged nautilus backup home-directory gnome-classic or ask your own question. How to change file into folder? How to move my Home-Directory? Why does “~” folder in my home directory keep reappearing?